With the way Filipinos are now turning to condominium living, it is no wonder that the number of condominium developments around the metropolis rose in the last 3-5 years. These condo properties offer varying sizes, from as small as 20 square meters to as large as 300 square meters. But then again, regardless of the size, how can one make their condo living more functional and comfortable fast before you can even say “condo?” A few secrets include looking at how to maximize vertical space and minimize unimportant (even messy) clutter around the house. It not only makes your condo pretty but also practical for you, your family and guests. Some practical tips include taking advantage of wall height. Providing additional space for your household items like books via shelves or cabinets, placing hooks on your walls for your jackets or even a small work desk in the living room or bedroom can help you work undistracted. To avoid accidental bumps and bruises, especially if you have wayward toddlers around, the layout of house furniture should be able to create a direct path to a specific room or area, or at least provide sufficient space around each piece to assure harm-free movement. House clutter is another annoying sign of non-functionality of a home or condo unit. Just throw away those not needed anymore, make file cases for your folders or other important paperwork, all properly labelled. How to avoid even more clutter? Tell your kids (or maid) a simple instruction—return each item to its original place after using it. After reading a book, return it to the bookshelf; for a detergent, take it back to the laundry room after use. No clutter, no mess. Having multi-functional furniture can also do the trick. A coffee table with a shelf to tuck in your reading stuff like magazines or newspapers (a good option for Daddy or Lolo who likes to read in the morning with a cup of coffee at hand), or any other furniture that can add to your room’s aesthetic qualities, it is advisable to add more function. Efficient lighting will also add to your room’s functionality, especially for kids who sometimes don’t want to read inside their rooms and prefer to read alongside other members of the family. A room with enough lamps and other lighting fixtures for convenient and easy-on-the-eyes reading (or even writing) is good. Imagine all family members reading together on a lazy weekend for stronger family bonding. Now that’s an inspiring scene inside the house. These and other practical things-to-do to make the modern home—or condo—more practical and functional are necessary if you want a more convenient and comfortable living. 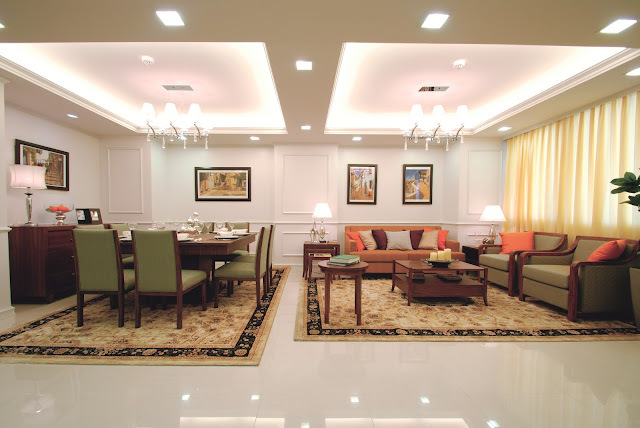 This is the reason why Philippine Realty and Holdings Corporation (Philrealty) made sure that the living spaces in their condominium properties can be transformed to make them fully functional and yet appealing to the discriminating homeowners of today. Take, for instance, Philrealty’s upcoming Andrea North “Sky Breeze” Tower, the second phase of its successful Andrea North “Skyline” project. Philrealty made sure that “Sky Breeze” will be a fully liveable project where unit owners can enjoy practical living at its finest. Being known as a property developer with its huge condo units, those found at “Sky Breeze” will have 1:1 bed-to-bathrooms ratio plus powder room, maintained privacy between adjacent areas (you can go straight to your bedroom without having to pass through the living room, especially if there are guests), maids’ quarters, utility areas and storage rooms and living room. Prospective unit owners will find the “Sky Breeze” to their liking because it not only provides luxury and privacy but also practicality. The large living spaces of the “Sky Breeze” are all laid out to allow for nice, free-flowing mobility, good ventilation, and unrestricted use of natural light to help save on electrical consumption, just some of the attributes of “Sky Breeze” that further cements Philrealty’s reputation as the builder of some of the most well-thought of and structurally sound homes in the metropolis. The Andrea North “Sky Breeze” is located along Balete Drive at the corner of N. Domingo Street in New Manila, Quezon City. The “Sky Breeze” is conveniently located near some of Quezon City’s most popular lifestyle areas (along Timog Avenue and Tomas Morato), educational institutions (St. Paul University Quezon City, La Salle Greenhills, and Xavier School) even hospitals (St. Luke’s and Cardinal Santos Medical Center) and entertainment areas (Robinsons Magnolia, Trinoma, SM North EDSA) to make living in the city even more encouraging. 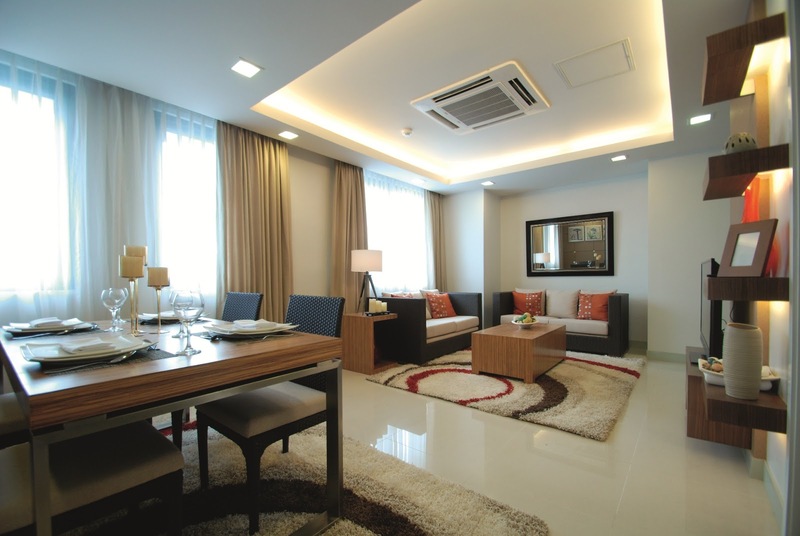 Large living spaces and fully functional units that evoke comfort, convenience and full mobility are the hallmarks of Philrealty’s projects, just like the Andrea North “Sky Breeze.” Seeing it with your own eyes is just one thing; once you move in, you’ll find it even more interesting. For more information about Philrealty, the Andrea North “Sky Breeze” and their other projects, call 631-3179, 631-8579 to 80, 634-1504 (fax) or email info@philrealty.com.ph. You can also visit www.philrealty.com.ph. Very Informative posts, I'll keep it on my mind getting ready to make my dreamhouse more functional! Btw, Sky Breeze looks beautiful! Thanks for the information. so i know now how our house be more functional! Thanks for the info! it helps a lot! This is wonderful! I definitely gonna apply it to our home and share this with my friends.